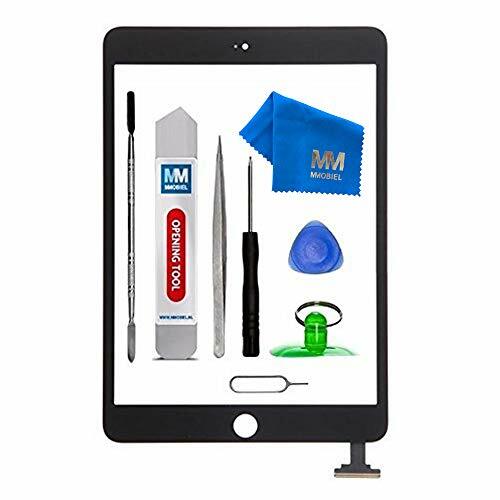 IPAD mini 3 Digitizer Touch Screen Front Display Glass Assembly - Includes flex + Camera Holder + Pre Installed adhesive Stickers and Professional Tool kit for easy installation. All parts come Pre-assembled as shown on pictures No soldering required, 100% accurately, Ready to use! Compatible with all IPAD mini 1 / 2 High quality product! All parts tested! Item in stock shipped by Amazon from USA! HIGH QUALITY PROFESSIONAL All-IN-ONE KIT: 100% New Real Glass Digitizer Touch Screen Front Display Glass Replacement Assembly. If you have any questions about this product by MMOBIEL, contact us by completing and submitting the form below. If you are looking for a specif part number, please include it with your message.